Do you want to hack into someone's WhatsApp account and read out all of their conversations? Well, in that case, you have come to the right place. 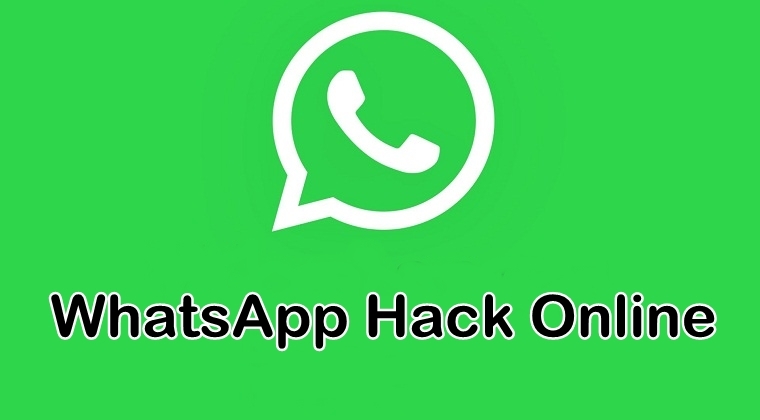 In this post, we are going to tell you about the most reliable method which is used for WhatsApp hack online. WhatsApp hack accounts for all those methods and techniques that are used to get access to someone's WhatsApp messages. While there are a bunch of WhatsApp hack techniques available on the internet, our idea is to suggest the most genuine and professional method available for WhatsApp hack online. A WhatsApp hack method allows you to spy on someone's WhatsApp chat, including the sent and received text messages, photos, videos, and other files. For instance, if you are looking for a method that helps you keep track of someone's WhatsApp activity, then it is better to get your hands on the reliable WhatsApp hack tool instead of wasting your time, money, and efforts on something that's not even worth it. It goes without saying that when you look up for WhatsApp hack methods or WhatsApp spy tools on the internet, your browser will make you stumble upon a hundred results. Sure, the internet is laden with a large number of WhatsApp hack results, most of them leading you to different websites and applications. It's quite challenging to go through all of these results when you are in the search for a reliable method for WhatsApp hack online. There are many websites that claim to give you access to someone's WhatsApp account for free. The thing with these sites is that they may ask from you something in return before giving out the actual result. They may either ask you to download a third-party program/app, open a particular web link or fill out an online survey. The problem with downloading a third-party program/app is that it may contain malicious content or malware that could be harmful to your device. On the other hand, some of these WhatsApp hack websites ask you to click on a particular web link in an attempt to get more traffic on their website. The sites asking you to fill out online surveys to get your human verification are basically only trying to get your personal data so they can spam your email inbox with irrelevant information. To save yourself from getting into some serious trouble, you need to avoid such WhatsApp hack methods. Most of them turn out to be fake and bogus with only a few of them actually doing the trick for you. Mobistealth is the most reliable method for carrying out WhatsApp hack online. Hands down, it has been regarded as the most advanced and professional monitoring tools to come out in the market. As the monitoring solutions industry has become competitive, Mobistealth has managed to maintain its reputation for the last few years. One of the reasons is that it offers advanced monitoring and surveillance features for your digital devices including computers and mobile phones. Users have praised using Mobistealth as their WhatsApp hack tool as it allows them to spy on someone's WhatsApp, enabling them to read their WhatsApp conversations. They can also learn whom the target person has been exchanging messages with and what was the date and time when the messages were sent and received on their device. Once Mobistealth is deployed on the target device, it starts logging their WhatsApp activity and then sends the logged data to your online user account from where you can view the activity remotely from anywhere and at any time. The target won't become suspicious about a WhatsApp hack tool being deployed on their device as the app keeps on working secretly in the background of the device.